The film “Black Panther” may be centered around King T’Challa, but Kendrick Lamar’s accompanying soundtrack is fighting for the spotlight. “Black Panther: The Album” is curated by Lamar, who has assembled an all-star team of hip-hop and R&B artists that elevate the effort beyond a film soundtrack. Lamar joined the project when Ryan Coogler, the director of “Black Panther,” asked Lamar to produce a few songs for the film. In an interview from earlier this year with NPR, Coogler said the collaboration was in the works for a while. After viewing an early version of the film, Lamar decided to take on the executive production of the entire soundtrack and he worked with Top Dawg Entertainment founder Anthony Tiffith to produce and curate the soundtrack. Artists on the album include many others from his record label, including Grammy-nominated singer SZA and rappers ScHoolboy Q, Ab-Soul and Jay Rock. Part of the album’s success is due to the chemistry between these artists after years of collaboration. Lamar and SZA have a synergy that stands out on the single “All the Stars.” The song mixes R&B beats with a synth-pop melody, highlighted by SZA’s catchy chorus. Because it features many of the same contributors, many of the beats on “Black Panther” are reminiscent of Lamar’s other albums. Stylistically, Lamar does not push boundaries on this album. His approach might not be risky or groundbreaking, but he excels at what he does here. The fact that it’s a soundtrack does not hurt the quality of the music — some of the stronger songs like “Paramedic!” and “All the Stars” sound like they could have a place on a solo album. Though the quality of the tracks is not as consistent as it might be on a solo album, there certainly are noteworthy verses from Lamar. Lamar is featured on several tracks, but the other artists on the album complete it. Lamar also linked up with past collaborators Vince Staples and Travis Scott on the soundtrack. Staples’ track “Opps” has an Afro-house music style reminiscent of his 2016 album “Big Fish Theory,” while “Big Shot” follows Scott’s trap style more than Lamar’s own style. The Weeknd shines over Lamar on the track “Pray for Me,” a sinister-sounding yet hypnotizing track that brings to mind The Weeknd’s “Starboy.” Lamar’s aggressive, angry rapping acts as a foil to The Weeknd’s spacey, delicate voice. Zacari harmonizes over Afrobeat drums and rhythms on the track “Redemption,” which also features South African singer Babes Wodumo. Other South African artists on the soundtrack include Yugen Blakrok, Sjava and Saudi. On the track “Seasons,” Sjava raps a whole verse in Zulu, reinforcing the movie’s celebration of African culture. While listening, it might be better to imagine “Black Panther: The Album” as a compilation of music and collaborations instead of thinking of it as a soundtrack. It doesn’t have the traditional cohesive elements of an album; instead, each song is strong on its own. 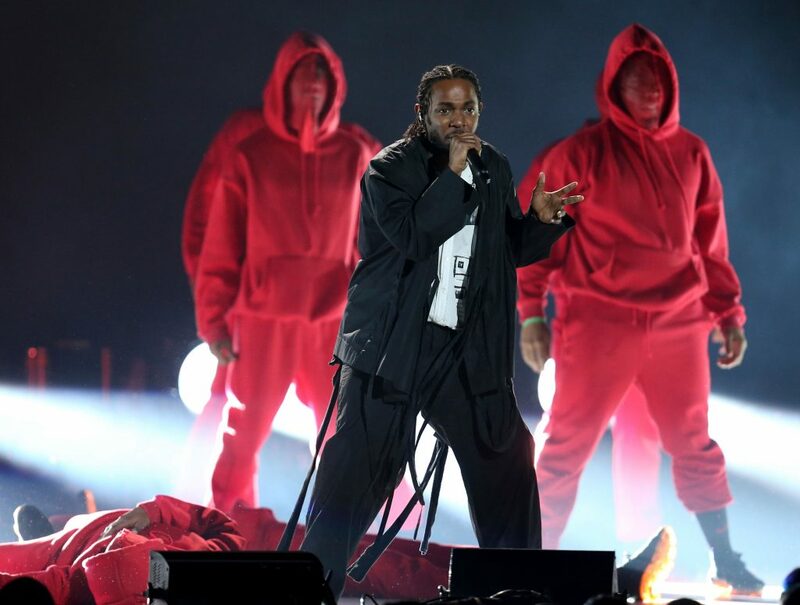 Within the album, the story of the “Black Panther” film is clear, but with Lamar at its core, it also stands on its own as a solid set of songs.